Instagram may be just a passing fad, but for now, I’m milking it for all its got. I love posting quick pics of weekend adventures or documenting little moments in time (and I’m not afraid to post a pic of my dinner or my cats either). And now I’m glad I’ve discovered how to make a more permanent use of those photos — instead of letting them run loose in cyberspace — using the various online services that specialize in printing Instagram pics. For a while I’ve been posting photos of cars in Del Ray (for this post) on my Instagram feed. 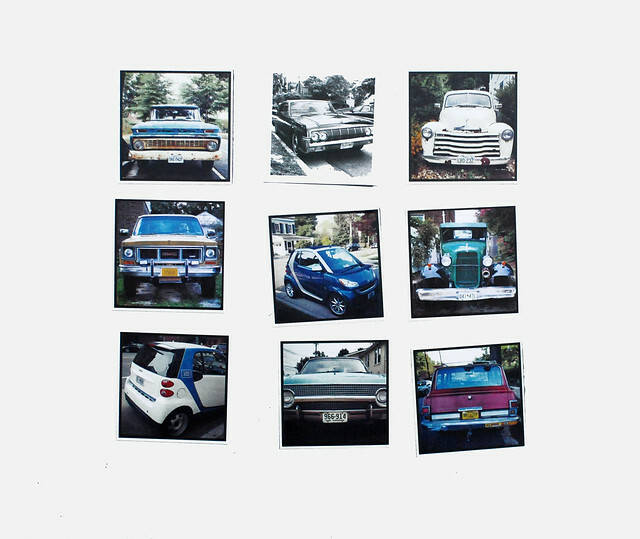 My car-loving sons inspired me to start this photo project, so to give something back to them, I ordered a set of magnets through Stickygram (9 for $15 with free shipping) using photos of some of the cars we saw together. How did they work out? Though they look good, they aren’t strong enough to actually hold anything on the fridge. I think they would make a nice gift for a relative who would appreciate fun family pics on their fridge. 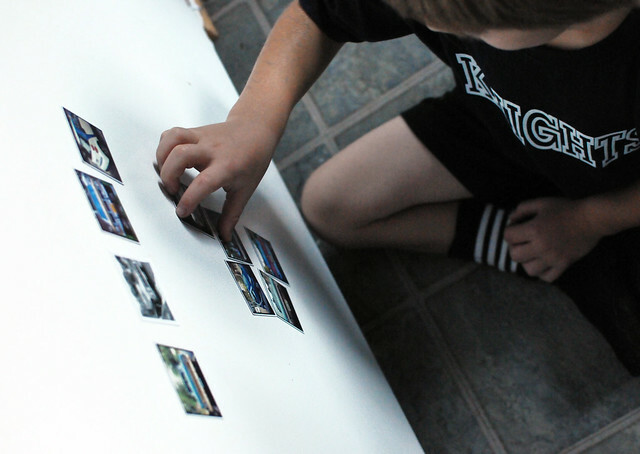 The kids enjoy playing with them though, so they are good for decoration, if not function. You’re probably thinking, well duh, this is an obvious use of Instagram photos. I haven’t had any photos printed before because I always assumed the quality wouldn’t be good. I heard positive things about Printstagram and gave it a shot. Syncing my Instagram account to Printstagram, I realized I had quite a collection of photos — people, places and things — each one a special remembrance from the past year. I selected my favorite 72 of the bunch (3 sets of 24). Less than a week after ordering, my prints arrived. 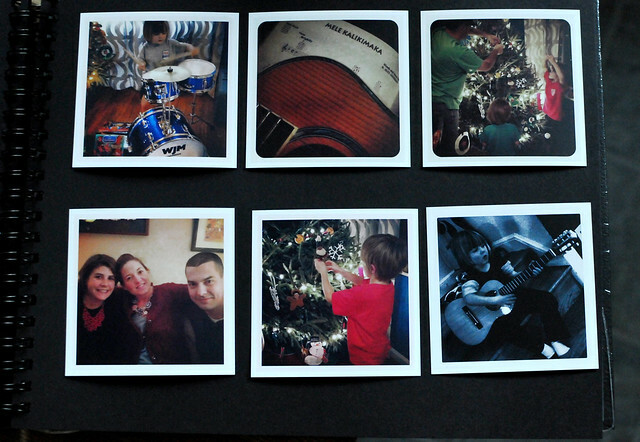 Printed on thick paper with a matte finish, the photos, though slightly grainy, turned out surprisingly well. The 4″ prints were $.50 each. 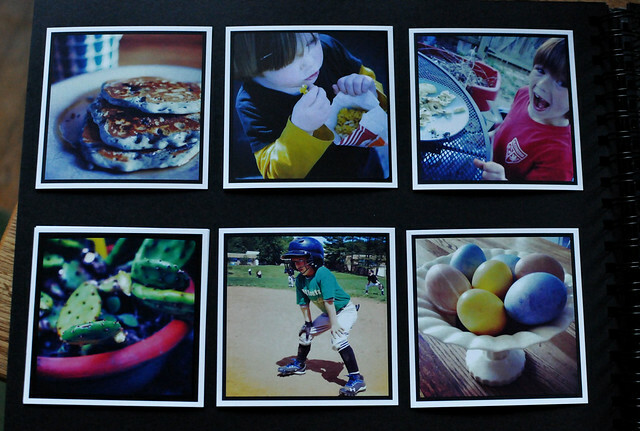 You can order smaller prints for $.25 each, but I thought the larger prints would look better in an album. In going with the retro style of the prints, for my album, I bought a black scrapbook and photo corners and arranged the photos in chronological order, lumping similar photos together on each page. My kids and I love flipping the book and talking about happy memories from the last year. And now I have the motivation to do more with all the other photos stored on my hard drive. 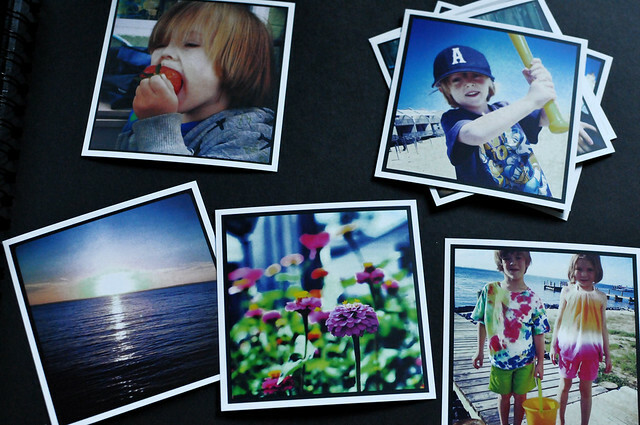 Do you have a favorite Instagram printing service? 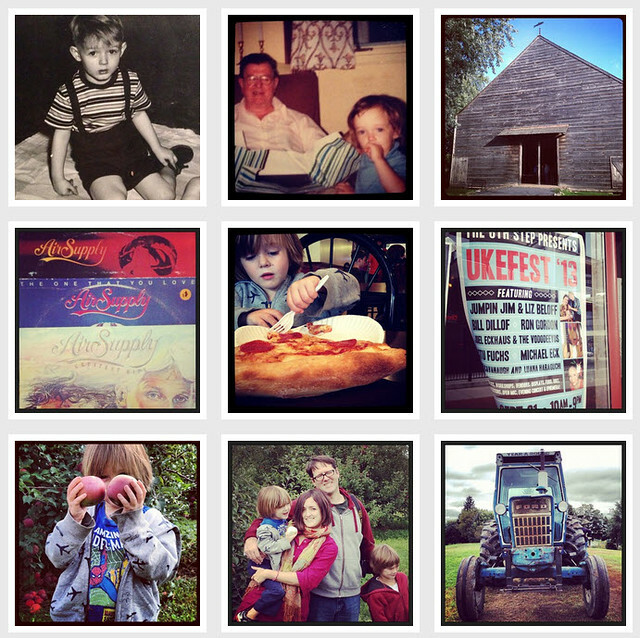 Or if you don’t use Instagram, do you have another digital printing service you like? We’re always looking for good tips! Katie, you have lots of good ideas! Thanks. I’ve never used Instagram or Prinstagram. 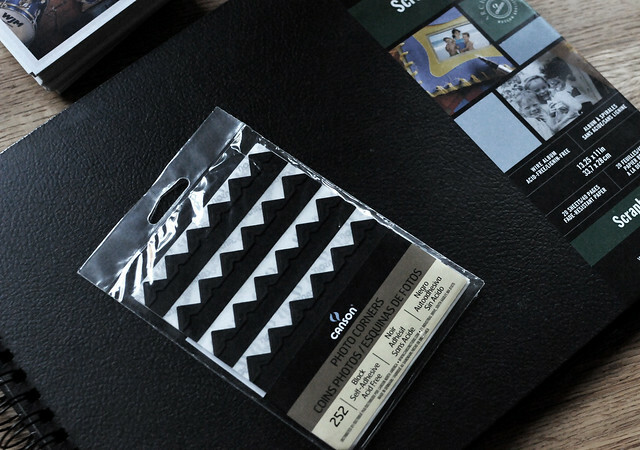 Mpix prints professional quality photos, and I’m very pleased with the service. Thanks Vineeta. I’ve used Mpix too for higher quality prints and photo books and they’ve turned out great! Yes, the CVS printer is pretty good. We use it if we need a quick photo printed. I’ve also used Snapfish for larger orders. They frequently have deals too.